Pain is a message. If you ignore that message, you run a higher risk of the problem becoming bigger. Taking care of the problem early can prevent pain, suffering, and surgery. We use Acupuncture to help tune you into your body, retrain your brain to move better, and reduce the effects of stress. 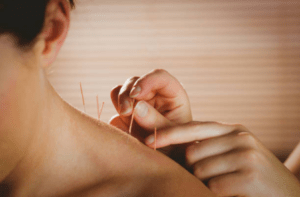 Acupuncture is a powerful tool in situations where our bodies need help returning to normal movement and function. 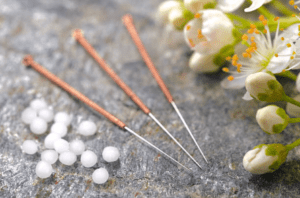 By stimulating muscles which have been shut down by compensation and releasing the muscles which have become overactive, acupuncture helps the body return to normal movement. It stimulates certain points along the nervous system, that improve circulation, stimulate the immune system, and reduce inflammation. Schedule an Acupuncture appointment today with Dr. Jonathan Choi in Bellevue. Needle insertion: Acupuncture needles are inserted to various depths at strategic points on your body. The needles are very thin, so insertion usually causes little discomfort. People often don’t feel them inserted at all. 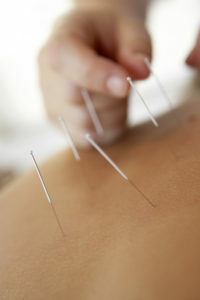 Between five and 20 needles are used in a typical treatment. You may feel a mild aching sensation when a needle reaches the correct depth.